Sounds from the six stages at Library Square mingled and reverberated together, while between shows, troubadour street musicians lent their stylings to small gatherings and passersby.%uFFFDMy itinerary became a suggested outline in the face of the surrounding tapestry of artists and festival-goers. 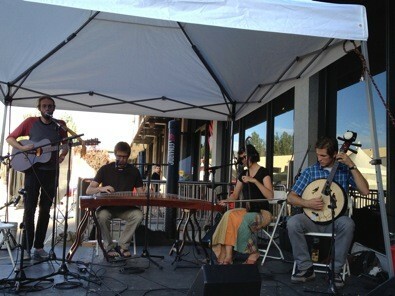 Matteo’s blend of acoustic folk from American and Chinese traditions is brimming with inspired originality. They played with a gentle confidence to a small, attentive crowd in the fading dusk light. Angular plucking on a Chinese lute and simple bowed melodies on the erhu frame the more familiar elements of Matteo’s sound. Every composition uniquely entwined an intercontinental pallet of instruments, which required that all four members pick up to four different instruments during the 30-minute set. In the two years since they last performed at UAF, they’ve released two albums, filmed a documentary of their voyage to China and been the center of a great deal of buzz in the local-music sphere. At their concerts, Matteo embodies that hard-working resume, and always captivates the audience. 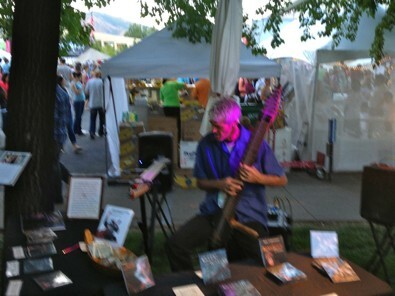 Between shows, I wandered under a large tree, where Bob Culbertson, tucked almost out of sight near a high-traffic area, was playing the Chapman Stick and attracting an impromptu audience. A beautiful, earthy tone emanated from Culbertson’s huge fret board as all 10 of his fingers tapped it masterfully. In the midst of explaining his instrument to a fan, he broke into a flowing romantic, classical piece. After reviewing the classics, his chops went on full display, playing two sticks at once in a new-age composition. 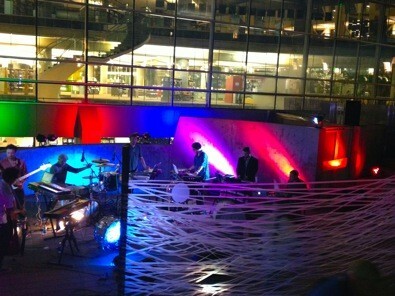 Salt Lake Electric Ensemble closed the night at the Salt Lake City Main Library’s sunken amphitheater, The Round. The project is a collective of veteran musicians borrowed from The Rubes, Tolchock Trio, Joshua Payne Orchestra and other underground mainstays. The concrete benches became densely packed while a musing, ambient hum emanated from the extensive arsenal of instruments. Feedback swirls were finally punctuated with the entry of driving drumbeats and rhythmic electric bass. The Can-like groove pulsed hypnotically until the padded textures hijacked the song back into the realm of atonal synchronicity. An interesting relationship between discord and composition continually evolved and broke down throughout the set. 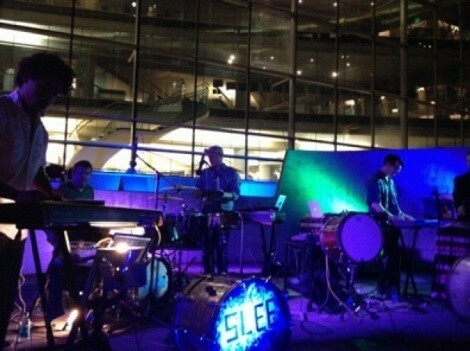 After leading listeners through sonic exploration, the seven-piece spectacle faded back into the spirit of its original static noise and artfully signaled the end of a day of extraordinary musical performances.